Summer is just around the edge, and many of us are wondering what colors and novelty this season is going to add to our wardrobe. Well, we are just in luck as some eminent fashion designers have worked out their creativity and brought dazzling hues and unique designs out on the market. 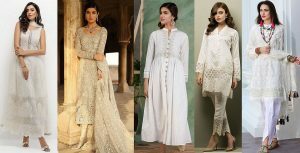 Sana Safinaz is also one of those labels, which brings you the finest of ready to wear collection each year for each season. 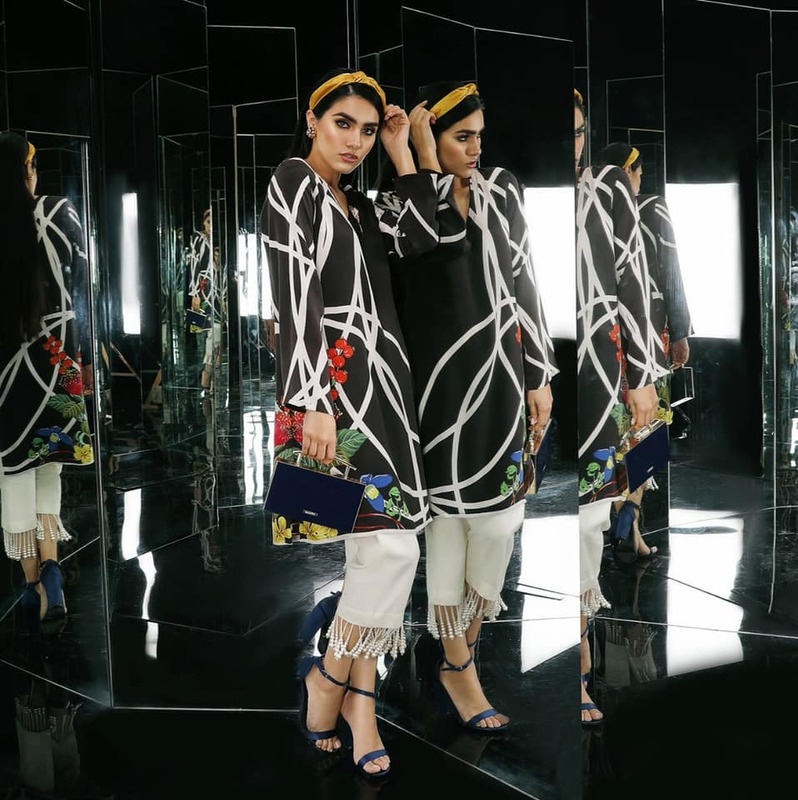 Sana and Safina are the two most renowned fashion designers of Pakistan, who are not only famous in the fashion circles but equally famous among the public for the variety of apparels they provide. 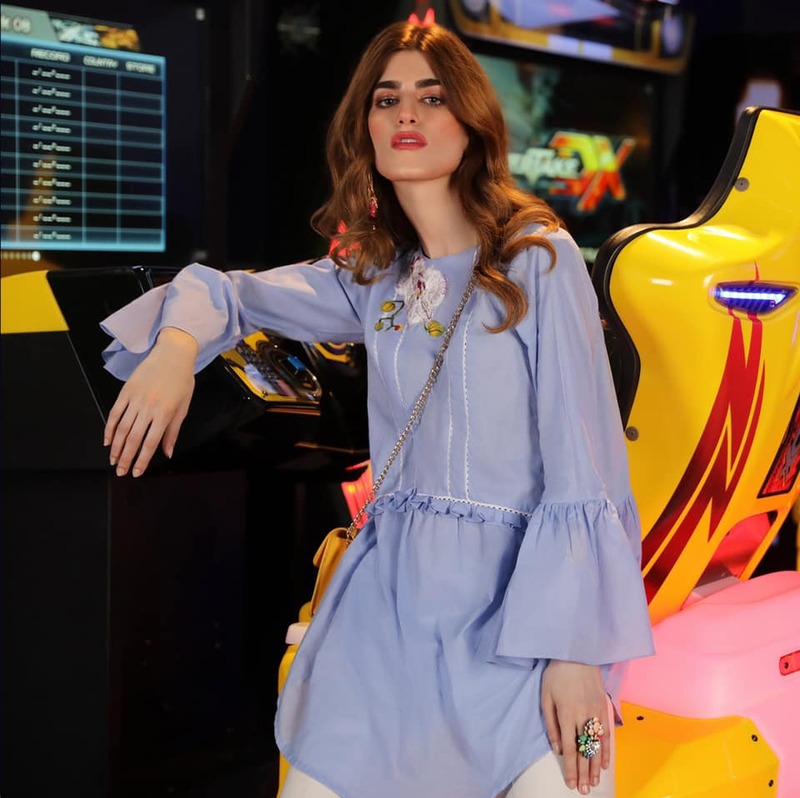 Here we will share the latest arrivals of Sana Safinaz Ready to Wear Summer Dresses Collection. This year Sana Safinaz labels were also seen under the spotlights of Oscars Award Ceremony. Yes! Our very own Oscar-winning Sharmeen Obaid was again wearing Sana Safinaz on her big day. 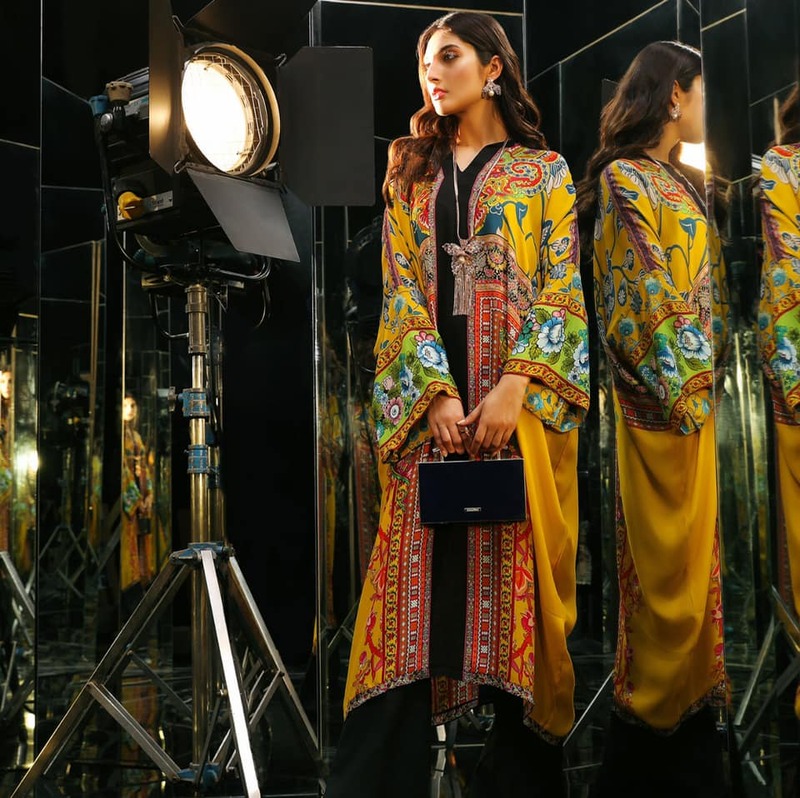 It has proved the quality and distinctive outlook of Sana Safinaz dresses that make everyone carry it, whether be it’s any formal occasion or be it’s any casual function. It provides some varieties within one same collection. 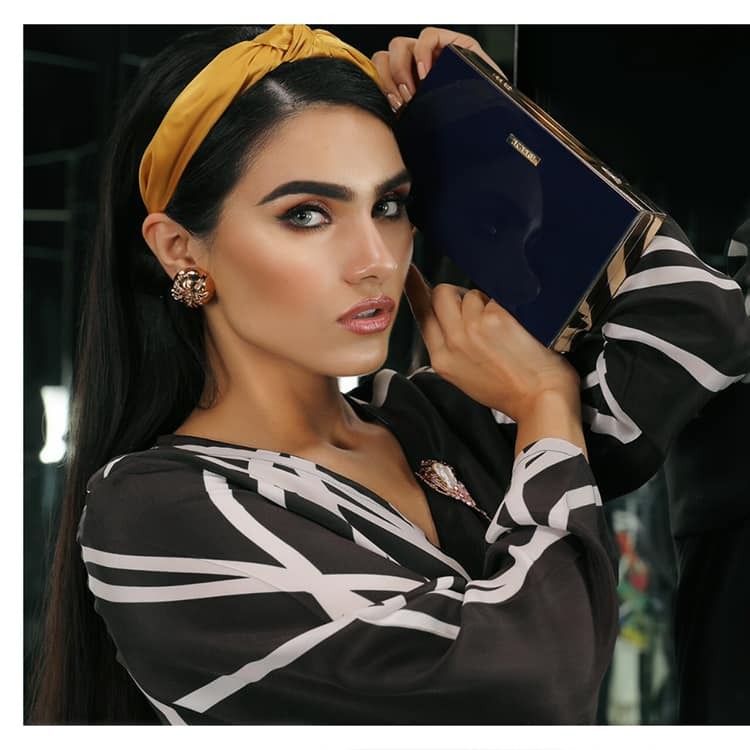 This season’s latest Sana Safinaz Ready to Wear Summer Dresses Collection 2019 is again going to stun you. All of its apparels are being showcased at some of its outlets. Yellow is the color of this summer season. Lime yellow, mustard yellow, bright, light, mango yellow and many more. Paired it with the off white trend. Off white shalwar, trouser or pants. The recent collection is full of apparels with bright and sharp colors combined with the contrast of soft pastel touch. These ready to wear attires are available in the variety of different fabrics from pure lawn to mixed lawn and also in cotton. Chiffon lawn dresses are there in a range of different prices and unique designs. 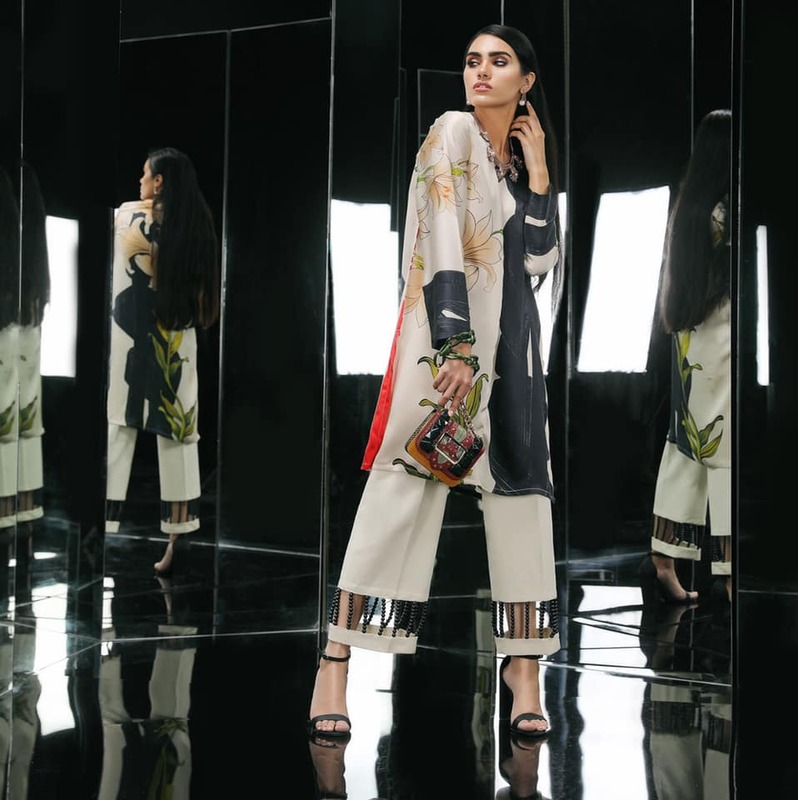 These apparels do include not only single shirts or kurtas but also three-piece suit dresses, designed exclusively by Sana Safinaz. From cream brown to white, sparkling blue and green the palette is full of the delightful treat to give you a chic and funky outlook. 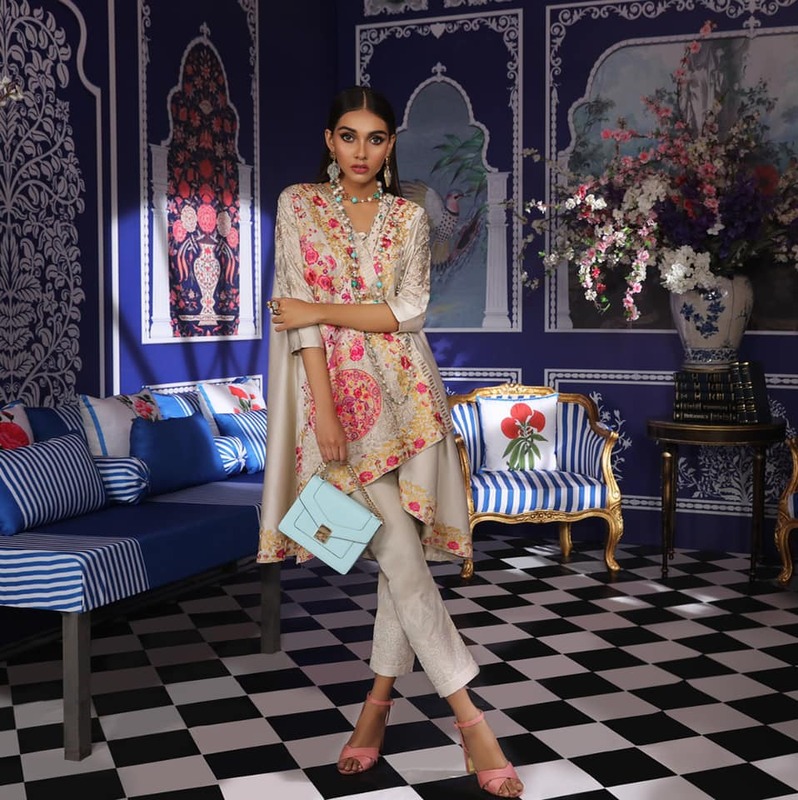 Digital prints in lawn and cotton coupled with thread work are the trademark of style in this collection. These prints are designed by blooming spring season and the blazing summers. Loads of floral work, spiral designs, and block prints are added to each variety. Thread work embroidery along the neckline and fronts of the shirts looks simply amazing. As it’s a pret collection, therefore, the focus is partly key on the prints and embroideries, and partly kept on the designs and cuts of the shirts. 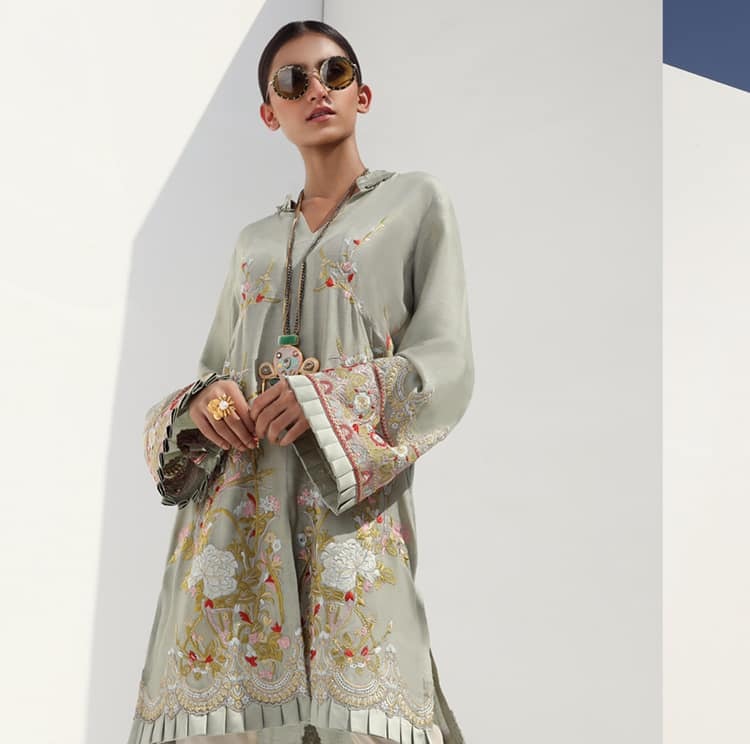 Loose kurtas with bell-shaped sleeves are most common in this variety as it is the demand of the season whereas full long shirts with round neck are also available. Double shirts and trousers are also there if you are looking for something distinctive to carry. 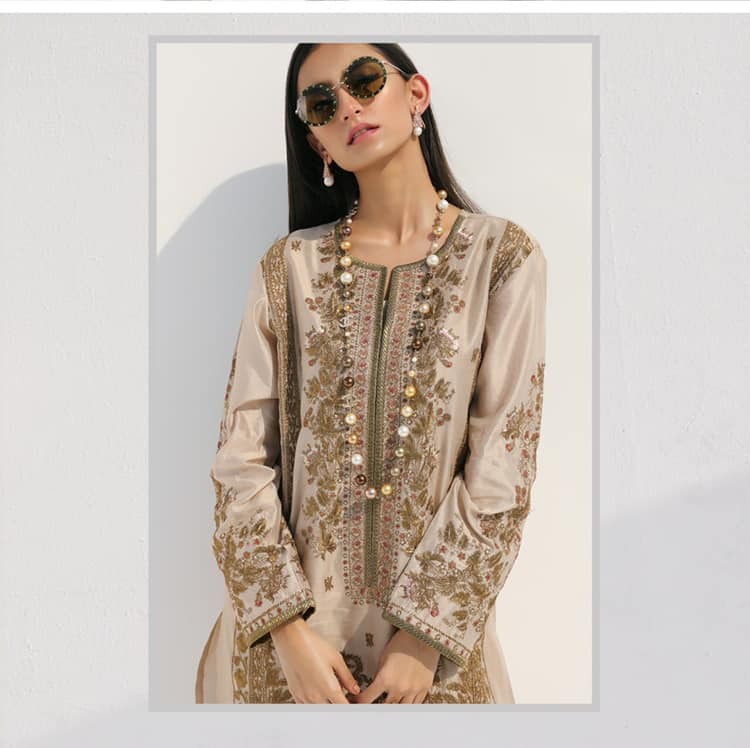 Price range is comparatively higher than the other brands sustaining in the market, as Sana Safinaz has its level of quality and popularity. The Price speaks for its quality and gorgeously appealing apparels. When you wear this brand, you don’t just carry any particular fabrics, but you carry a complete persona with the alluring looks. 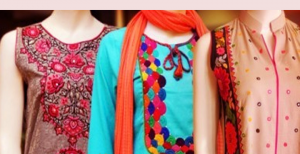 So get ready to flaunt your style with the trendy ready to wear Sana Safinaz apparels. We can see the stripes trend, tribal prints, Kashmiri embroideries, and block printing. Other than this machine embroidery, floral prints, etc. Casual basic kurtas, short fusion tops, Kurtis are the part of this assortment. You can also see long kaftans, gowns, long front open shirts, capes, etc. That can be used as formal and semi-formal wear for parties and events. Price starts from just 2450 to 11,000 pkr. Basically, the RTW collection contains all the variety that anyone can need for daily wear.